This year I celebrate 30 years in the broadcasting industry. It's been a great ride and I feel extremely fortunate, believe me. Not only have I had the pleasure of working for and with some of the best talent in the industry, but by sheer luck I began my career during the Seattle Music Scene of the 90's -- an era that gave birth to bands like Soundgarden, Pearl Jam, Nirvana and Alice In Chains. However, this article isn't about Grunge music. It's not about long hair and flannel shirts. This article is about someone who has spent more than half a century entertaining audiences all over the world and "Chances Are" no matter your age, if you're reading this article you're probably familiar with his music. At 83, Johnny Mathis is in the midst of his "The Voice of Romance Tour" and he plays the Paramount Theatre February 13th with Shoreline's own Brad Upton. Who hasn't heard the name Johnny Mathis? To print his discography would take more paper than I currently have in my printer. Synonymous with romance, his voice is one of the most appealing to ever have been recorded and his signature vibrato, his own unique calling card. I had the distinct pleasure of speaking with Mr. Mathis by phone recently and after literally "pulling myself together", I managed to ask my first question. "At a time when singers were encouraged to change their names, you've always gone by your birth name John Royce (Johnny) Mathis. I take it no one encouraged you to change it to something more flashy like Jimmy Stardust or Luke Kincaid?" Johnny laughed and said "they tried...my father wouldn't hear of it". I've never heard anyone speak so highly of their parents. Mr. Mathis (and the entire time he was on the phone with me he was "Mr. Mathis") mentioned his love and admiration for his father (especially) several times, often referring to his dad as his best friend. The encouragement and support he received from both his parents is something of which he is quite proud. Born in the little town of Gilmer, Texas. east of Dallas, Mr. Mathis' family moved to San Francisco and at the age of 13, voice teacher Connie Cox accepted him as her student in exchange for work around her house. It was then that Mr. Mathis began learning vocal scales and exercises. He credits this training and proper technique as well as healthy eating for allowing him to continue performing at such a high level. Johnny is an accomplished cook and enjoys time spent in his kitchen. I like to think my approach to interviewing celebrities is different than most. Especially a legend like Mr. Mathis. In preparation for such an opportunity I ask myself, what questions has my guest been asked over and over and what information can one get from a simple Google search? I've found that celebrities are eager to answer just about anything you may ask as long as it's not demeaning or something they've answered a thousand times already. Some radio show hosts go for that "one big kill", asking a question that they know will be embarrassing to their guest, but get a laugh from their listeners. The result is often a dial tone. I, on the other hand, prefer to treat my guests with dignity in the hopes that they won't hesitate to join me again the next time they're in town. A hurdler, high jumper and basketball player in high school, Mr. Mathis was faced with a difficult decision in 1956. His career beginning to take flight, he was given the opportunity to perform in New York or try out for the U.S. Olympic Team headed for Melbourne, Australia. Once again confiding in his father for advice, it was decided that Johnny would travel to New York where he essentially became an overnight sensation. 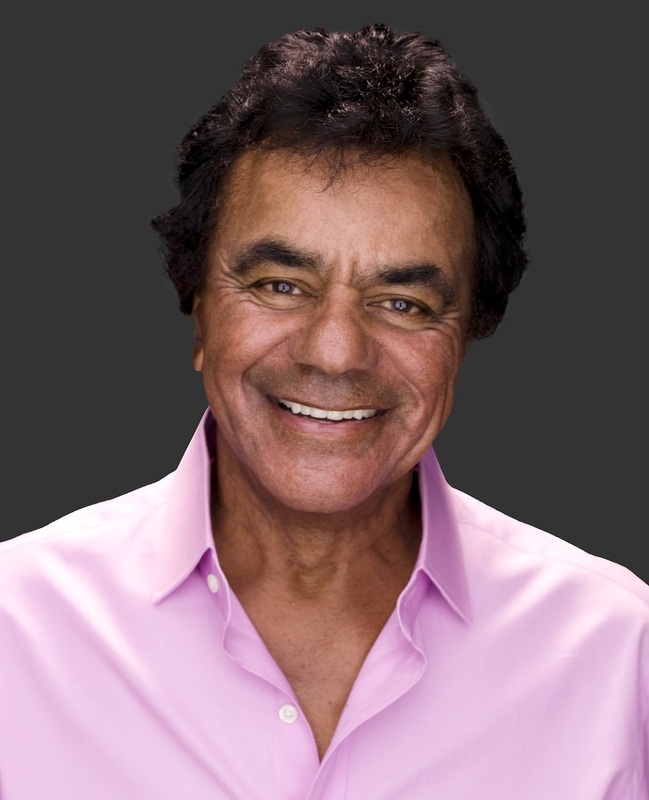 Johnny Mathis is royalty. Well over 360 million records sold, the recipient of the Grammy Lifetime Achievement Award and inducted into the Grammy Hall of Fame for three separate recordings. A member of the Great American Songbook Hall Of Fame, awarded the Society of Singers Lifetime Achievement and among others a member of the Songwriters Hall of Fame. Jokingly I asked Mr. Mathis if he has a storage unit rented somewhere that holds all his awards and R.I.A.A. certificates (gold and platinum records)? He very humbly told me there is a room in his house that holds those treasures and occasionally he will marvel at all that he has accomplished. However, he is sure to give credit where credit is due -- first again to his parents and then the many artists he's had the pleasure of working with along the way. Having appeared on the Tonight Show 33 times, Mr. Mathis was called "The best ballad singer in the world" by its host, the late, great Johnny Carson. After enjoying any number of his songs, this is a title impossible to dispute. Lovers of the "Classic Rock" musical genre will be interested to know that Mr. Mathis' "Johnny's Greatest Hits" album released in 1958 spent an unprecedented 490 weeks on the Billboard Top 200 Album Chart until the release of Pink Floyd's "Dark Side Of The Moon" in 1983. I could have spent several more hours speaking with Mr. Mathis, but I've also learned over the years that another respectable trait of a professional interviewer is to know when to say when. My final question pertained to his love of basketball. "When time allows, do you ever find yourself playing a little one on one or horse with your crew?" Johnny again laughed and said if the ball happens to bounce his way... he won't hesitate to take a shot. Mr. Mathis is the last of his kind, a living legend. 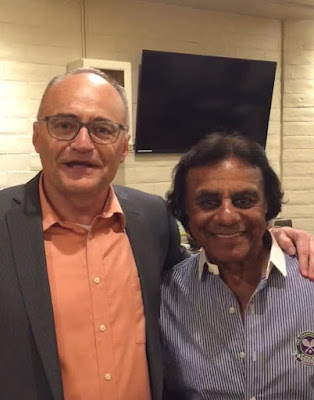 With so many of our treasured entertainers retiring from the road or worse, I highly encourage you to witness the magic of Johnny Mathis for yourself February 13th at The Paramount Theatre. Opening the show will be Shorecrest H.S Track Coach and Comedian Brad Upton, a long time associate of Mr. Mathis. The perfect Valentine's combo, I will most certainly see you there and I'll be very easy to spot. I'll be the big, bald guy getting a little "Misty". I sent a comment, i didn't see it published.